May 7, 2016; 4 p.m.
College students often find themselves studying late into the night the weekend before finals exams, but the books weren’t the only thing keeping students out of bed at Lindenwood University. 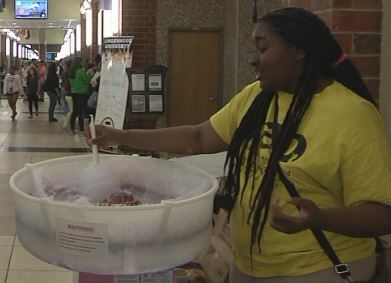 Campus Activities Board member Dominique Jones makes cotton candy during Evans Unlocked. The cotton candy was just one of several giveaways at the event. The Campus Activities Board hosted its annual Evans Unlocked event on May 6 to wrap up another academic year at the university. Taking over the Evans Commons from 7 p.m. until 2 a.m., the organization provided a night of fun for the student body. CAB’s Issues and Ideas Chair Dominique Jones said the event’s planning process first began during the fall semester. The night included a total of 30 different activities, which took place throughout the three floors of the commons building. Attending the event for a second consecutive year, Lindenwood student Bryce Ensor said the wide selection of activities is what makes the event so appealing. 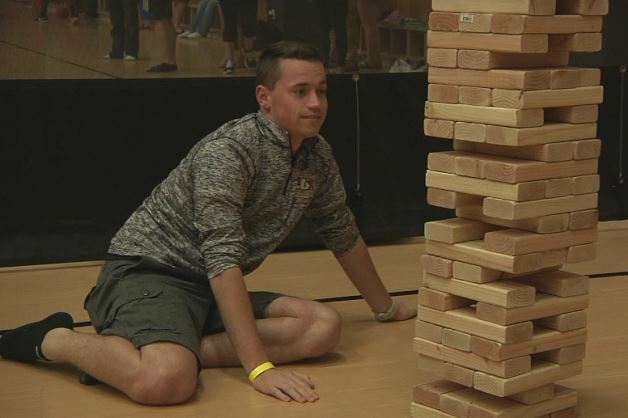 Lindenwood student Bryce Ensor searches for a block during a game of life-size Jenga. The object of the game is to remove blocks without knocking over the tower. 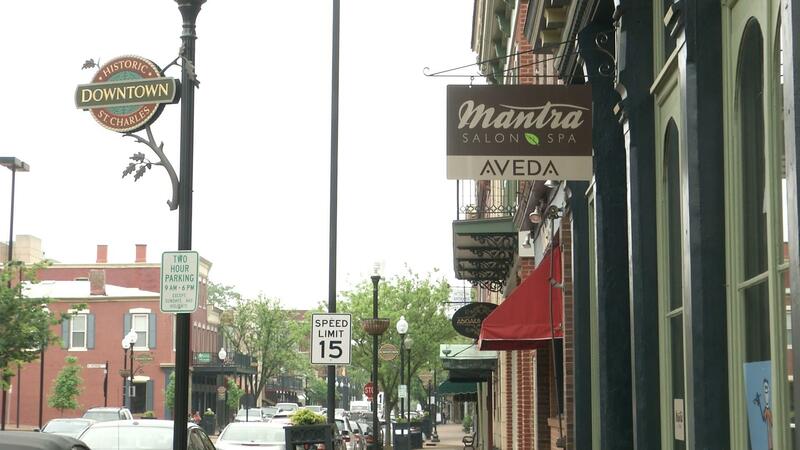 Evans Unlocked is held at the beginning of the fall semester for the incoming freshman class, and at the end of the spring semester during the weekend before final exams. Many students, including Nick LeGrand say the event at the end of the year provides a great opportunity to take a break from studying.